What a fantastic dress - we are dress twins, as I have just this last weekend finished the exact same dress in the same fabric and pretty much the same colour! I have not worn it yet, but have all the photos etc ready to blog about it. Looks fab, well done. I have already tried to comment but it seemed to disappear so I hope you don't get two. Every time a see a Lady Skater, I do a little happy dance inside because I love mine so much! Yay! I love yours too! I love it and it looks super comfy, too. Looks great, love the colour. I agree it is a great pattern and I can see it getting a lot of use in this house too. Lovely doll and such a nice colour. I've knocked up a few of these now for myself and a friend. Just pull them on and away you go! I just decided this pattern simply wasn't for me... and then you post this! Now I'm reconsidering again! Your dress is beautiful, and so practical. It can be dressed up in so many ways! Very pretty and so on trend. That lovely shop Meandem has a dress almost identical to that only in fuchsia, forest green and black, only a bit pricey. Great when you get a fab pattern like that. Really fabulous I will add to my long list of things to sew! Oh Jane, I love you!! This must be my favourite blog post you've ever written...why? I really love this dress - the colour is great on you! Ooh, I love it, Jane! That colour is glorious on you. I made three Lady Skaters so far, and have at least one more in red ponte knit planned. Love your Lady Skater Dress. These keep popping up all the time and I haven't yet seen one I don't like. You may have just made me decide that I need this pattern too. Well done. Such a great dress and I love the colour on you! Oh My goodness I NEED this dress!! 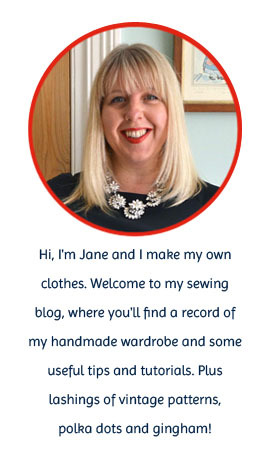 What a great post Jane and your impression of Ms Torvill is second to none. Keeeep dancing (wrong show but hey ho)! Too much fun! You look wonderful in this great dress. Terrific color and you nailed the fit. It's great! I recently made the girl one in a Kitschy Coo print jersey for my 6 year old and she loves it. It's on my pattern list for the new year as I realised I needed one in my life too! This looks ace! Stylish but practical,the perfect combination! You go, Girl! You are beautiful and talented and sassy, and I love your blog. I thought I was the only woman in the world who enjoyed sewing her own clothes. I love your blog. Thank you!